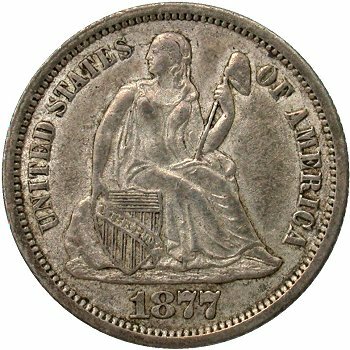 Comments: On Obverse 5, several die cracks are available as diagnostics. 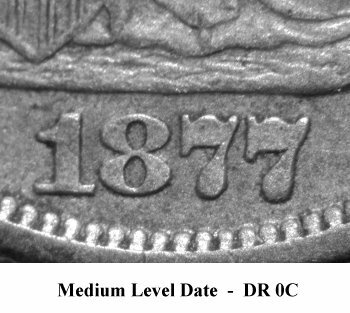 First is between STATE(S) to Liberty's forehead and another is seen between the 1 and 8 digits. 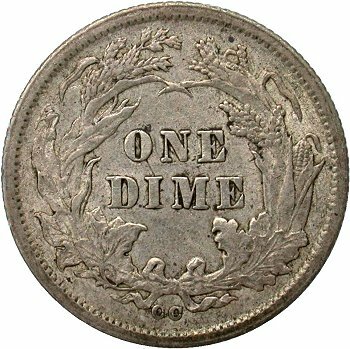 The 1 digit is slightly repunched but requires mint state details to see. 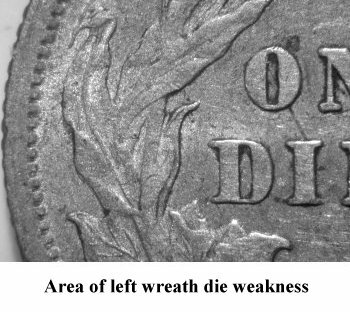 During later die states, more pronounced die crack are seen as follows; die crack from left tip of the base, up to (UN)ITED. 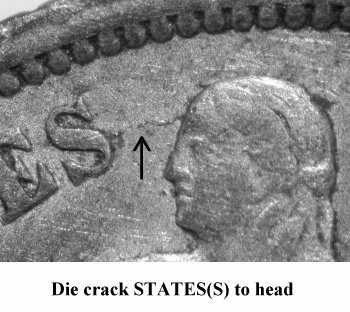 Another die crack runs from UNITE(D) through (STATES) and Liberty's head, exiting to rim at right of Liberty's head. 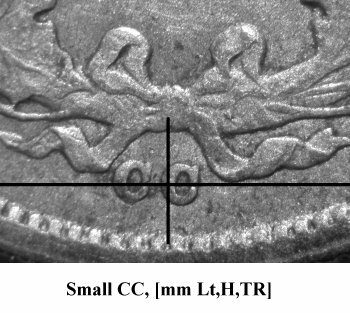 Reverse F has a downward sloping mintmark and exhibits device weakness on the left side of the wreath. Reverse F will be involved with at least two more die pairings.